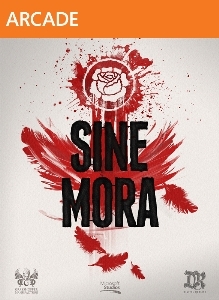 Sine Mora was developed by Digital Reality and Grasshopper Manufacture and produced by Microsoft Studios. It was released on March 21, 2012 for 1200 MSP. A code was provided for review purposes. How far would you go to avenge the death of your son? If you’re a Hungarian-speaking, biplane-flying, handicapped, anthropomorphic “revenge serial-killer,” the answer, apparently, is pretty damn far. Ronotra Koss isn’t a perfect man, er, beast, but he’s one heck of a loving father. As such, he flies off into the bright blue yonder with a crew of crack-shot animal and AI “allies” to take on an imperial military with such overwhelming force that he’s essentially looking at a suicide mission. In other words, Sine Mora is a bullet hell game. Players are thrown right into the thick of a brutal war between the Empire and the Enkies (branded terrorists by the Empire) from the onset, and figuring out what exactly everyone is talking about is more difficult than keeping the score multiplier up by maneuvering safely through the torrent of enemy fire scribbling across the screen while sending imperial pilots to their graves. The larger story of imperial rule, terrorism, repressive caste systems and time travel is a complete mess that only dances with some semblance of coherence down the final stretch. Koss’ stubborn goal of punishing all those involved in his boy’s death is far more interesting, but it’s really the gorgeous art direction and fine-tuned combat that will push would-be diesel punk pilots forward. That’s quite a sight – Sine Mora‘s most striking feature is the stunning visuals that are on display thanks to some exquisite art design. It’s possible for anyone who’s in a rush to light up the skies to hold down the left bumper in order to fast forward through certain dialog and story segments. Don’t do that. At no other point are the colorful, grandiose locales put on better display than during these pulled-out 3D views during which the fighter planes will often spiral around gigantic complicated bosses or opulent structures. If impatience gets the best of you, you’ll only be harming yourself. Yet even those who can’t resist the urge will still be treated to sights ranging from lush natural majesty to the red fires and harsh, choking air of the imperial war machine while buzzing through the shmups seven fantastic stages. Tight combat – If you’re going to deliver a bullet hell title, then you’d better get the shooting and flying mechanics nailed down just right. Digital Reality and Grasshopper have done just that with their shmup. Bullets stream across the sky in numbers and ferocity that rival a downpour of Skittles in a “taste the rainbow” ad. Of course, anyone who’s ever played a game in the genre expects as much going in. Multipliers, imposing and thrilling boss battles, special attacks and weapon upgrades are all in line with the established archetype. Where the developers really struck out on their own was in eschewing a health bar in favor of a timer. 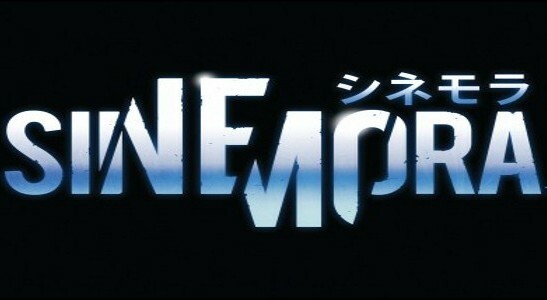 Plenty of games have had countdown clocks, but Sine Mora‘s works a bit differently. Every time damage is taken, a few precious seconds slip off the timer. Conversely, time bonuses are granted each time an enemy is blasted to smithereens. The clock can and will run out on those flying by the seat of their pants, so it’s one more thing to keep an eye on while soaring around environmental obstacles, squeezing through miniscule holes in bullet fire and sending back some volleys of your own. Once players grow accustomed to it, however, they will understand its brilliance. Digital Reality’s approach to challenge allows gamers that aren’t quite ready to enroll in Top Gun flight school to have a great time, even if they are unable to avoid taking liberal amounts of damage. Meanwhile, aces of the sky will still find themselves challenged to keep the timer high in their constant quest for a higher score. This one’s just right – Difficulty is one of the most, ahem, difficult things to iron out in any game. Veteran shoot ’em up players expect a brutal challenge that demands an absurd amount of replays in order to memorize patterns and maximize those multipliers. They’ll find it here without looking too long for it. Even though there are only normal and insane challenge levels, the stage select, clearer skies and increased continue credits on the lower setting offer any who would call themselves “gamer” a chance to succeed. If all else fails, the ability to slow time to a crawl is just a button press away. No English voiceovers – Digital Reality and Grasshopper’s shooter features full voice acting, which would normally be a nice treat for a game of this type and scope. It’s just too bad that none of the voice work is done in English. No, it isn’t in Japanese, either. Every line in the game is spoken in Hungarian. As mentioned, the game world is stunningly beautiful. Good luck taking it all in while also reading subtitles scrolling across the bottom of the screen, though. An option to just turn off the voices would have been welcome; the dialog being screamed out while pretty landscapes and deadly bullets fly by isn’t exactly ideal when it comes to attempting to follow a muddy plot. I thought he was on our side – The “heartwarming” tale of a father fighting for the son he loved so dearly is sensible and interesting. Everything else about the story is a convoluted mess. The first several stages feel like the second or third sequel in a long-running franchise, and it’s not until near the end of the game that it approaches anything that makes sense to anyone who didn’t write it. Multiple playthroughs — which most bullet hell fans will embark on anyway — are needed to catch enough details to clear up the haze. The Hungarian doesn’t help any, and neither does the game’s penchant for ping-ponging between characters and time frames like a child with ADD who has too many toys to play with. Still, this is a shoot ’em up, so few gamers are going to pass it up just because the narrative is out-of-sorts. The peaceful blue skies of Sine Mora and inspired diesel punk world are going to entice many to jump into the cockpit. Once there, they’ll find an experience that is not dissimilar to those that came before it. However, they will encounter one that is worth playing through to witness the seven beautiful stages and to experience the thrill of its dogfights. There will be untimely demises — a particularly nasty segment involving flying perfectly along with some garbage to avoid instant disintegration comes to mind — but isn’t that part of the charm of these games? Take off and find out without delay.